It’s 4am in the north Atlantic and a soap star is ripping the heads off live prawns, as his boat rolls and pitches in a huge swell. A film crew are trying to follow his every move but the director is vomiting over the side and the sound guy and cameraman are seasick. Despite the fact the man beheading crustaceans in the survival suit is familiar to soap fans as Scott Wallace from River City, this isn’t a new storyline for the Scottish drama. This is just one of actor Tony Kearney’s extreme challenges, being filmed for a BBC series to be shown this autumn. The 39-year-old, who played Scott from 2002 until earlier this year, attempts to make a successful job of working in environments alien to a pampered actor. 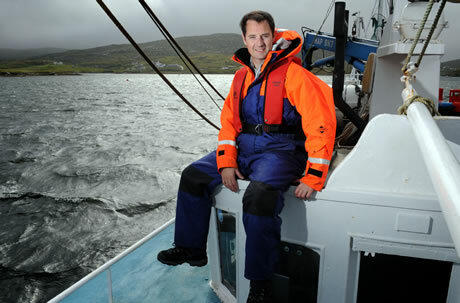 Tony returned to his family home on the island of Barra in the Western Isles to join the four-man crew of The Boy Darren, which operates out of Ardminish. He also takes on the role of fishmonger, selling his catch out of the island fish van, as it roams through Barra’s country roads. The series, Tony’s Journey (or Turas Tony, as it will be called on BBC Alba) will also see him take on the role of mountain rescue volunteer, hotel manager and restaurant chef, cooking a meal for the River City cast. 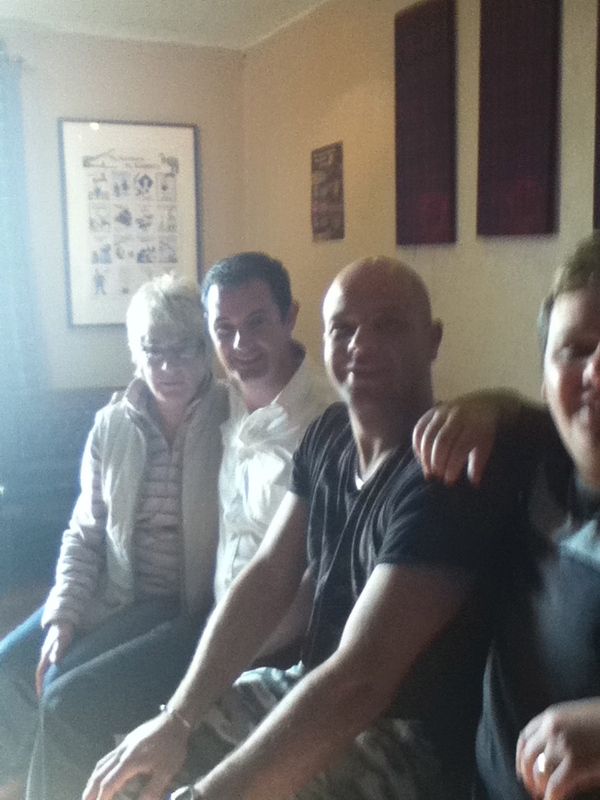 Struthan Cottages said: We were fortunate enough in October 2010 to be on Tiree when Tony was working as the bar manager as part of this programme (Yes we were in the pub!). Here’s the picture we took back then…..He joined the Cairngorm Mountain Rescue team during the harsh winter and almost came a cropper when he fell during a mock rescue, giving himself a serious knee injury. The other episodes will see him do a Basil Fawlty in a Tiree hotel during the international surfing championships and run the kitchen in posh Glasgow seafood restaurant Gamba.